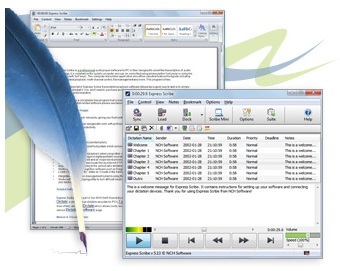 Express Scribe is a professional audio playback control software created to assist the transcription of audio recordings. Featuring foot pedal control, variable speed, speech to text engine integration and support for a wide variety of audio formats including dss, dct, wav, mp3, wma and more. Audio recordings can be loaded automatically from CD, email, LAN, FTP, local hard drive and Express Delegate.